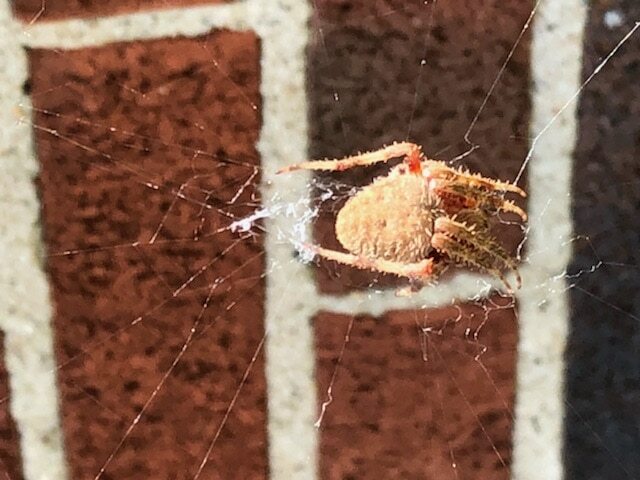 In a web on an exterior corner of a house. Sitting in center of web. Web connects to shrubbery at the bottom and has an extension connecting to the eaves at the roof. This guy runs very fast. Appx 1-1/2” from tip of front leg to tip of back leg when opened.